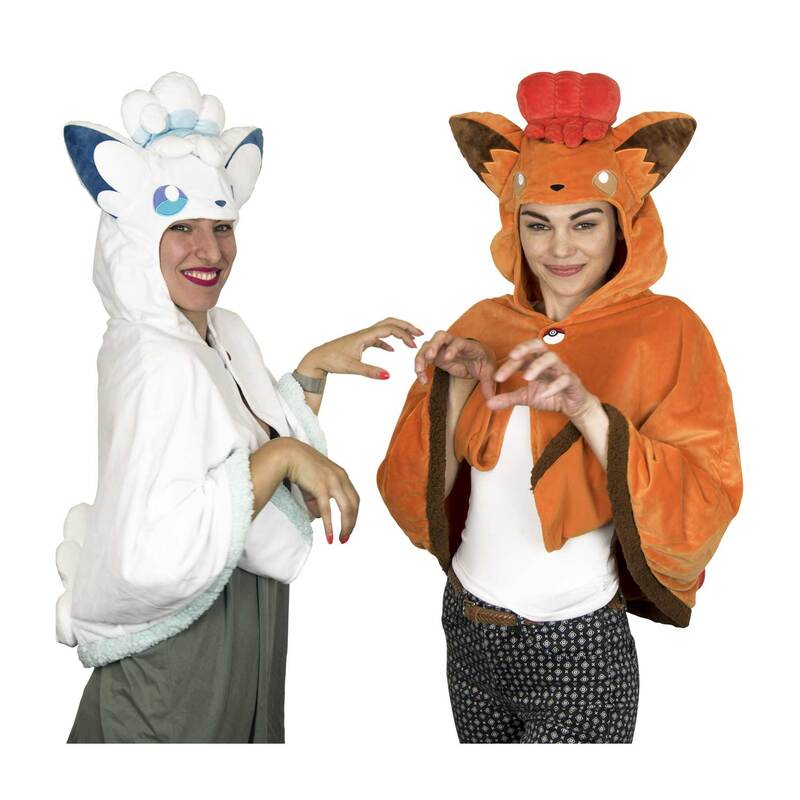 A real Vulpix cape, with embroidered eyes and nostrils, secure Velcro closure, orange with lined interior, and fiery tail! 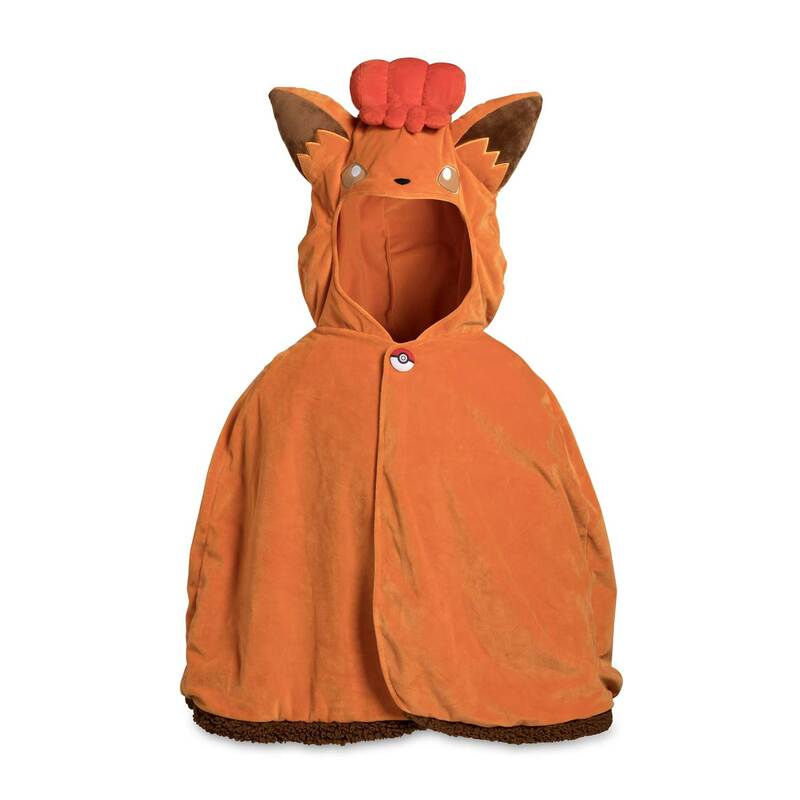 Soft hood lining makes it easier to wear snug or loose. 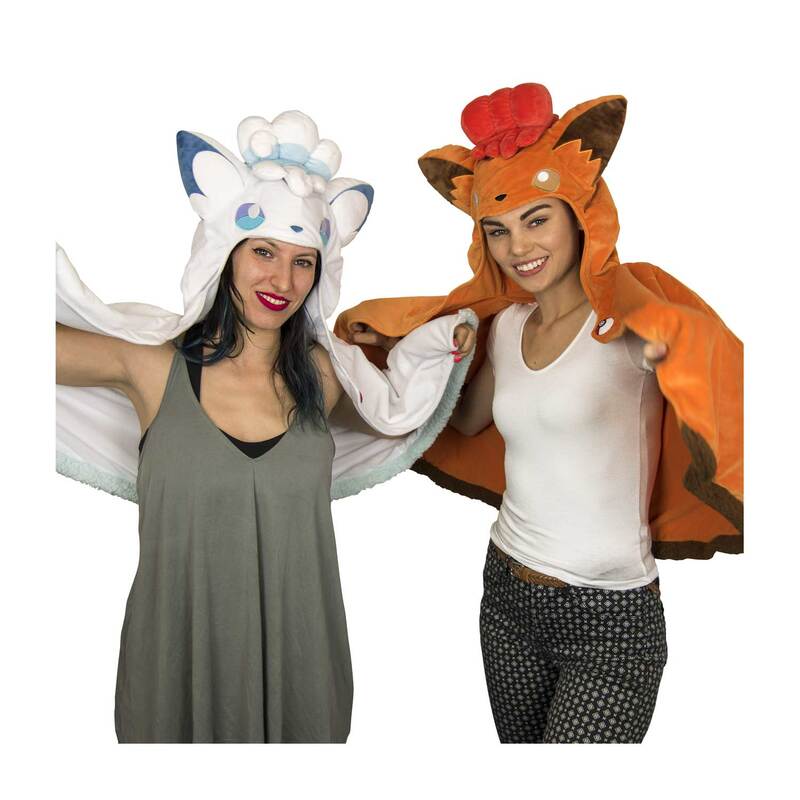 A Pokémon Center original design, ready to turn anyone into Vulpix! 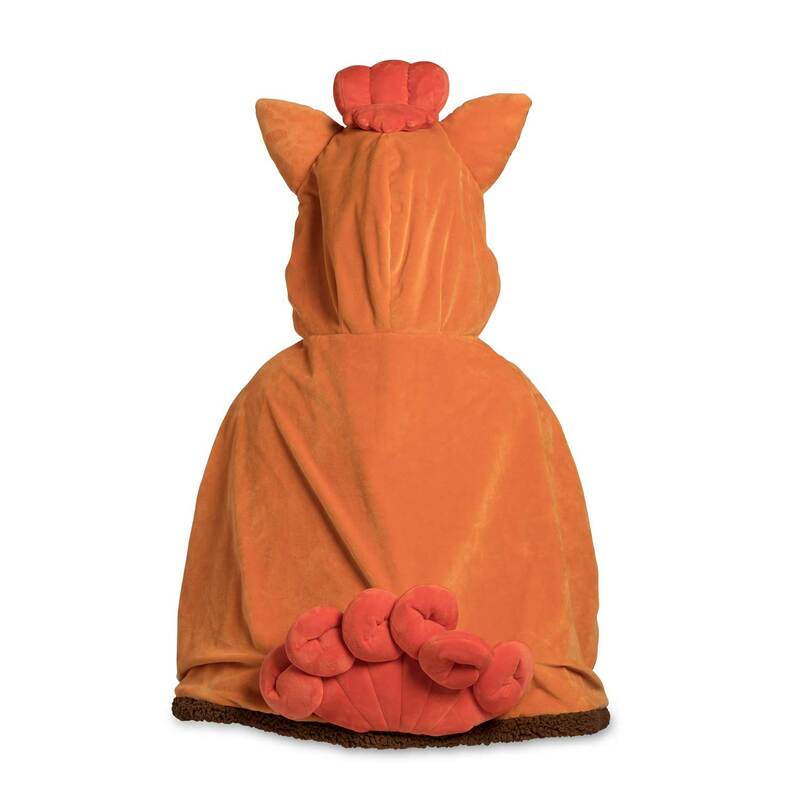 This plush costume is shown here with other plush costumes for display purposes only—other plush costumes are sold separately.